Nikki got ready with her girls at the Oasis House near Torremendo Lake. The MUA was Mette from the Beauty Palace, she did a great job doing all the make up of the girls. Nikki wore a beautiful Pronovias dress and looked amazing in it! The ceremony was conducted by Malcolm and he did a sand ritual which was lovely. They were served cava and other cold beverages and canapés by the catering company Abelinda, the wedding planner had hired. They did a great job, food was fantastic. Val from Cake magic made them a scrumptious cake. Graeme, the magician entertained both the younger crowd and the adults with his unbelievable tricks. After dinner when the light was better the bride and groom shots were taken and wow this location is perfect for it! Nikki and James practised this very difficult dance routine for their first dance and while James gave it his all his trousers ripped bless him. Great fun was had by all. DJ Chris did a fab job entertaining them all. 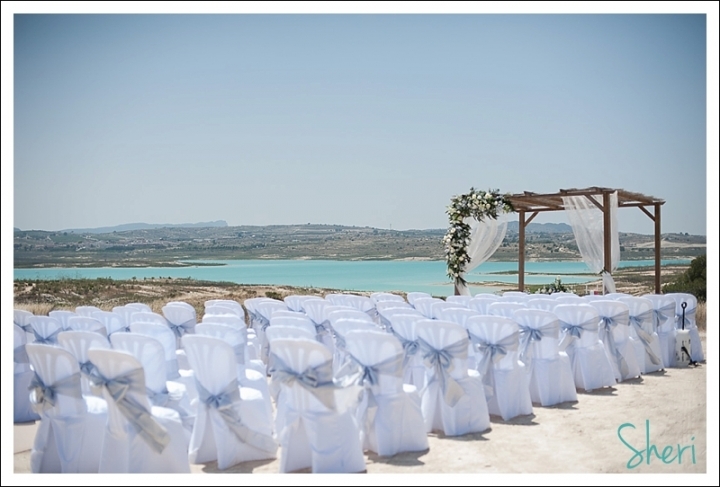 Have a look at some of Nikki and James´s wedding photos at the Oasis House in Torremendo.